In addition to Sri Lanka's embassy in Tokyo, Sri Lanka has 3 other representations in Japan. These representations include consulates in Kitakyushu, Nagoya, and Osaka. SriLankan Airlines (marketed as SriLankan) is the flag carrier of Sri Lanka and a member of the Oneworld airline alliance. 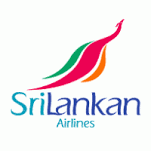 It is currently the largest airline in Sri Lanka by number of aircraft and destinations, and was launched in 1979 as Air Lanka following the termination of operations of the original Sri Lankan flag carrier Air Ceylon. JapaneseCarTrade.com (JCT) the most trusted & free Japan used vehicle portal that connects overseas buyers to Japan used vehicle exporters since 2005. JCT does not charge any commission, transaction fee or any hidden cost from buyer or exporter. All deals are directly between buyers & exporters that is saves your hard earned money from 10% ~ 50% of car cost.